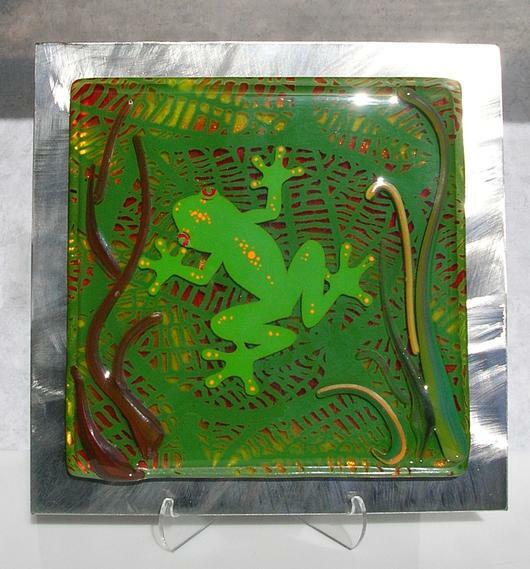 Tree frog fused glass art inspired by the brilliantly colored Amazon rain forest tree frogs. The fused glass has been silk screened with enamels and combined with glass powders and vitrograph stringers then fired to create a life like image with texture and depth. 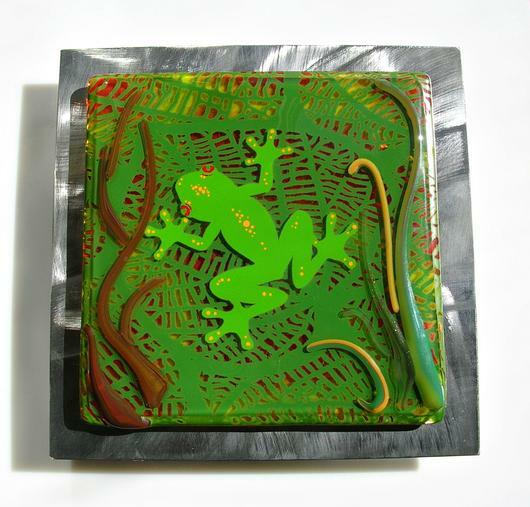 The fused glass panel measures 6 1/2" square and the steel wall mount measures 8" by 8". The high quality stainless steel wall mount has a brushed texture. Display gives the effect of floating on the wall with hidden cleat style brackets on the back for hanging using traditional style picture frame hooks.